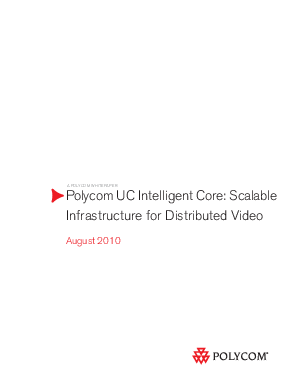 White Paper Published By: Polycom Inc.
Video is leaving the dedicated video conference room and becoming a standard communication tool and part of the individual’s daily workflow. The days of video conferencing as a nice-to-have substitute for the corporate jet are long gone. For thought leading organizations, video has transitioned away from its historic limitations to become a mission critical component of unified communications (UC). In turn, this trend is having a profound impact on the scalability requirements of the visual communication system which now must support tens of thousands of users where once it only had to support several dozen or at most a few hundred video rooms. This whitepaper discusses the approaches to creating a scalable, intelligent, distributed video infrastructure that supports the requirements of today's video-enabled organizations.